Numerous tasks pile up on us every day. We have house chores, work, exercise and more. With everything that’s happening, we usually think that we can’t get any busier. However, we end up making a new checklist from time to time, especially when those in power give us new assignments. 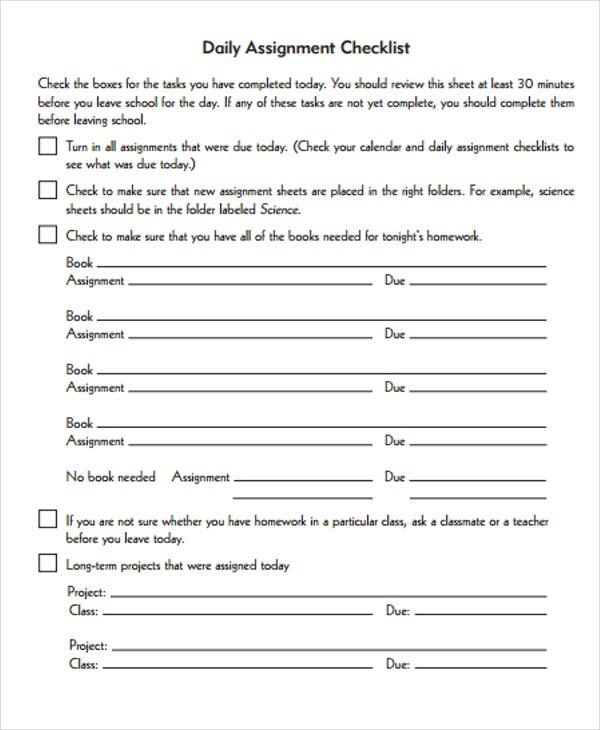 Be it our boss, teacher, or our parents, who gave it, we’ll always have assignments to take care of. 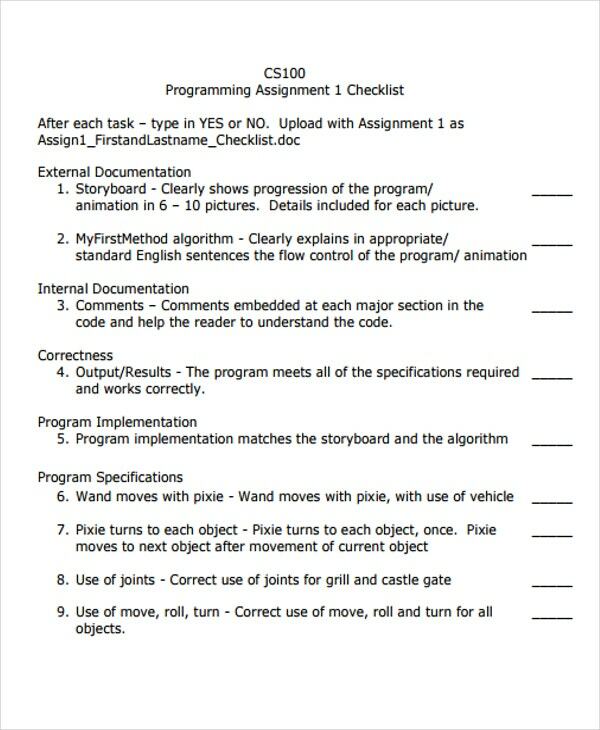 There are any number of checklist uses. 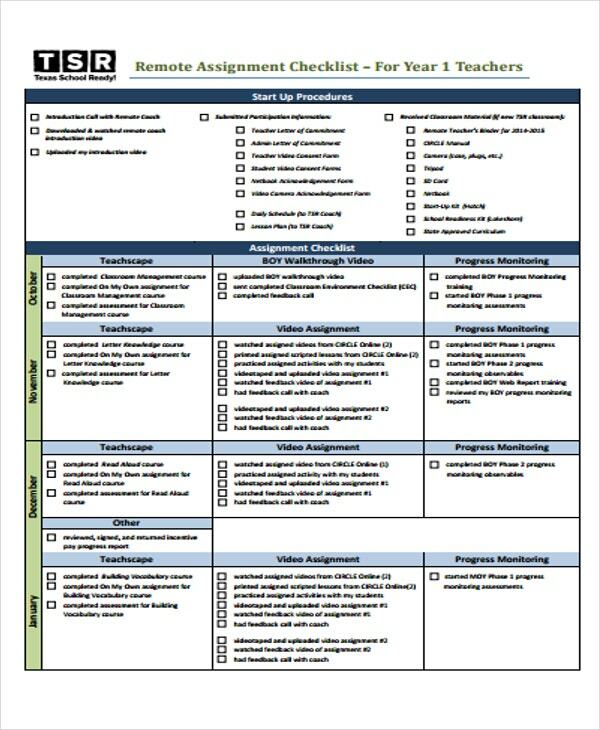 To be more specific, the use of an assignment checklist is to help us organize our appointed tasks. You’ll no longer have to worry about which assignment you need to prioritize. To think of it like writing a training checklist template. This will make the checklist short and concise, avoiding confusion. 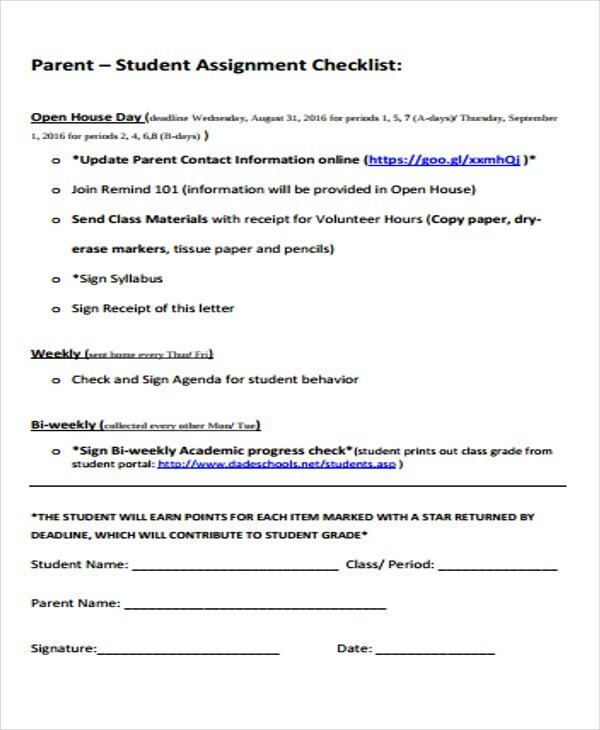 Prioritize the assignments nearing their due date and put them on the top of the list. 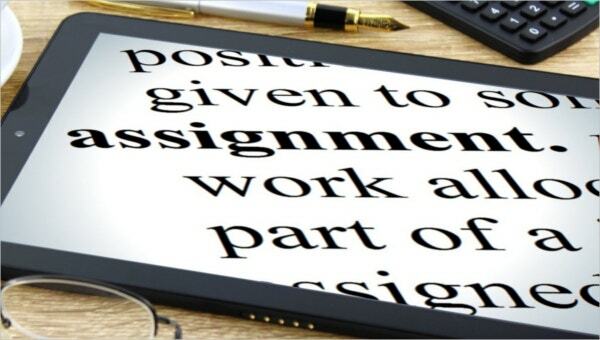 Write specific details regarding each assignment. 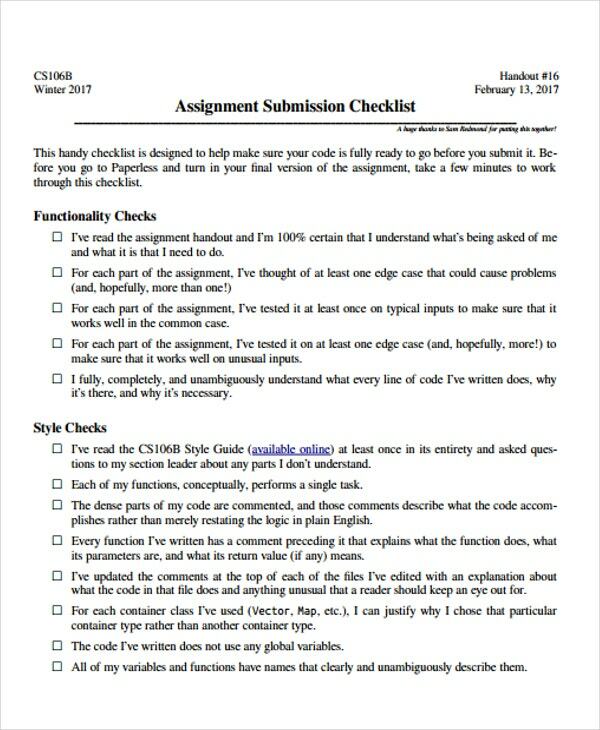 Email – This is the fastest way of submission usually in checklist template in PDF, thanks to the Internet. Snail Mail – If it is the preferred method of submission, then you can definitely snail mail your checklist. In Person – You can also visit their office and personally deliver the checklist to them. Context is coherent and purpose is definitively evident. 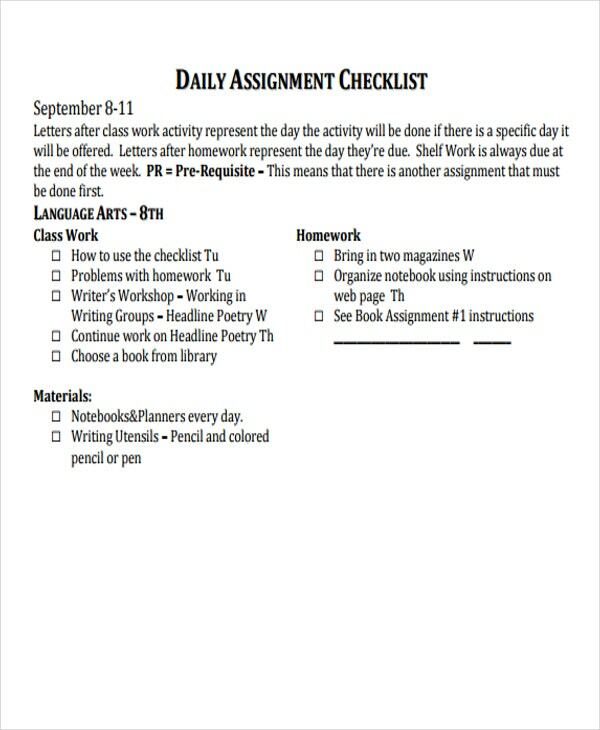 The arrangements must be properly organized, similar to how project checklist templates look. Columns, boxes, diagrams and examples are necessary and should be used aptly. Avoid making irrelevant descriptions, specifications or information. Must summarize the main idea, major points and averts in proposing new ideas that may come in conflict with the context. 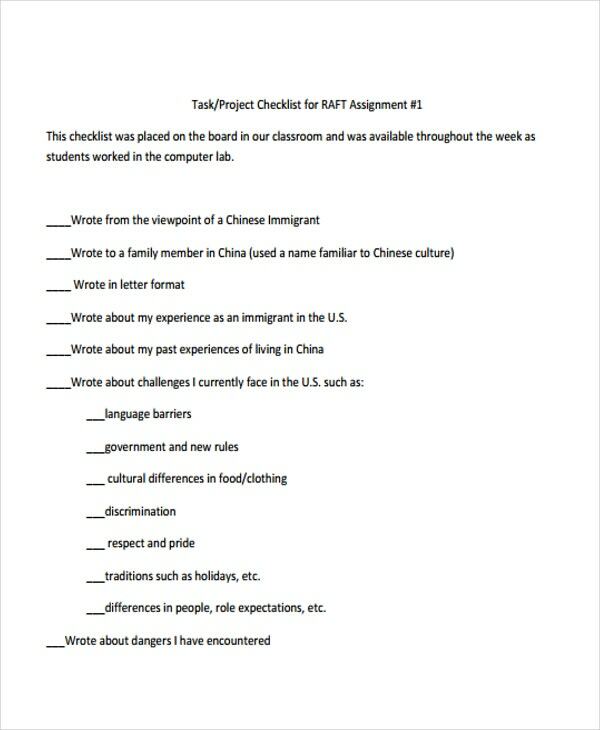 Assignment checklists are definitely helpful, not just for students or those who are employed, but for anyone who is trying to manage and organize their tasks accordingly. 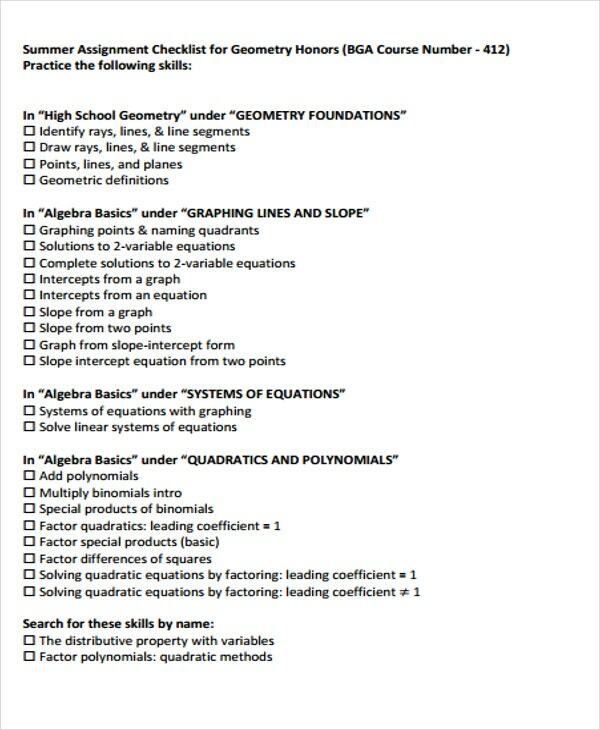 There are also a couple of checklist out there, like a free checklist template, that you can give a try.